Boasting a dramatic crown rooftop that lights up the city sky, the iconic Westin Bund Center Shanghai is centrally located in downtown Shanghai. Just a stroll away from the hotel is the magnificent Bund architectural site and waterfront. Yu garden, a 400-year-old classical Chinese garden and the popular pedestrian shopping precinct on Nanjing Road are also within short walking distance. 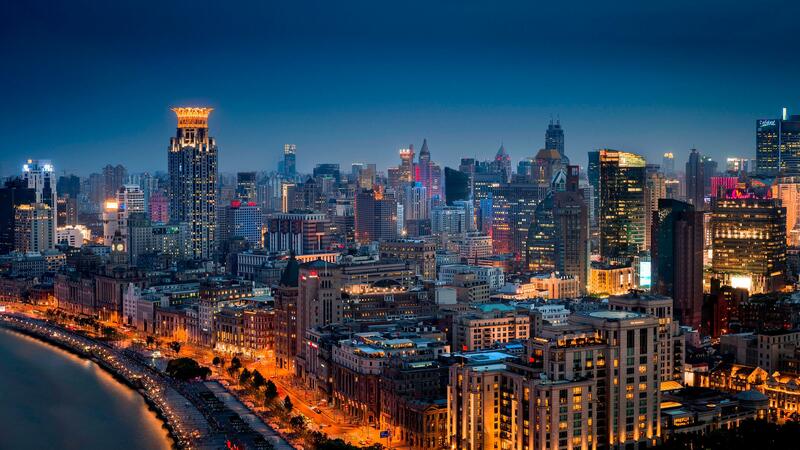 Lujiazhui Financial District is a mere 10-minute taxi ride away. Featuring two towers with 570 tastefully-decorated guest rooms and suites, every room promises superior comfort. Our signature Heavenly Bed® ensures you serene, restorative sleep night after night while our Rainforest® shower and separate bathtub complete your rejuvenating stay. Discerning guests who prefer more convenience and privacy will find their haven staying in Westin Club accommodation that features many additional services and privileges.